Lamaze’s Freddie the Firefly is ready to fly on baby’s next adventure – at home or on the go. His soft wings bring lots of fun for you and your baby to share together. The contrasting textures encourage sensory discovery and the squeaker is perfect for capturing attention. 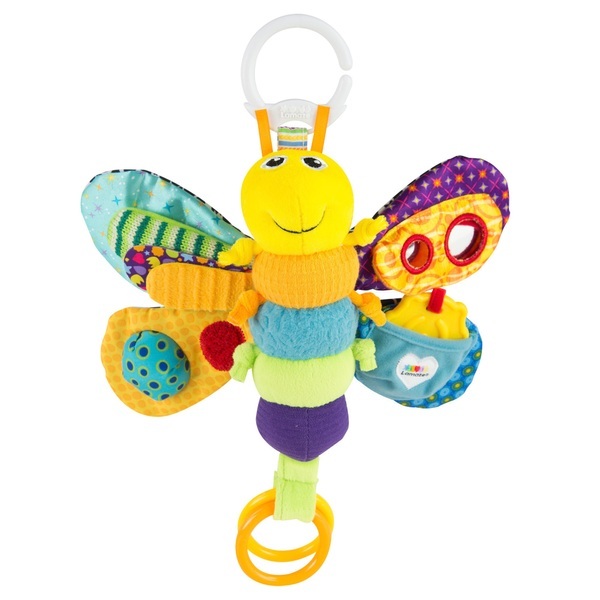 Baby will love the secret mirror hidden in Freddie’s wings and the soft ladybug teether. The symmetry of Freddie’s body will attract baby and help them to focus. Freddie’s soft ribbon antennae and legs are perfect for little fingers to hold. Keep Freddie safe with the on- the-go clip. Suitable from birth onwards.